What Are Drilling Rigs and How Are They Used? Talk to the drilling experts, we are confident that we can provide you with drilling rigs and equipment that are fully compliant to the highest standards of safety and efficiency. 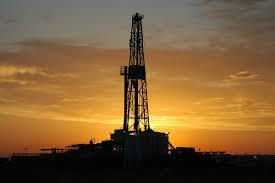 When people think of drilling rigs, there are various notions that may come to mind. However, to be clear, contextually it is important to keep in mind the exact type of drilling rigs that are being discussed as well as the location that they are used in. Both of these factors have a dramatic impact on the type of rig that is used and the reasons that it is there in the first place. Drilling rigs are large pieces of equipment that have played a significant role in the Australian mining boom. These machines are notably tall and designed for the express purpose of drilling into the ground. They are commonly used to house equipment that assists in natural gas, oil or water wells. A drilling rig usually involves a very long platform that can be extended pneumatically from a vehicle that is able to drive from one location to the next. This is in order to drill through the ground in one location and then move on to the next location that needs to be addressed. As a result, the vehicle is typically one that is large enough to take up almost the entire roadway with massive tires and a very long boom that runs the length of the vehicle. This boom can then be extended to drill through the ground to the desired depths. These rigs are typically used to drill water wells throughout the region. When a person or a public or private entity needs to have a water well drilled, companies that operate these mammoth vehicles are called in and the individuals who are specially trained in their use then come to the area with all of the necessary equipment in order to successfully drill a water well. The rigs are driven to a location and then the boom is extended. It is designed so it can be pivoted in order to allow it to travel in the desired direction and then make contact with the ground where the well needs to be drilled. After the initial steps have been accomplished, a special motor that is located on the rig allows this boom to rotate, effectively helping it bore through the ground to the desired depth. The depth of each drilling operation will be directly impacted by the corresponding depth of water and how far down the drill must be placed in order to find a decent supply of water that will allow the well to remain operational for several years to come. Once a drilling operation is complete, the same motor that allowed the boom to bore into the ground allows it to reverse course and come back up. Additional equipment can then be used to make sure that the well is properly stabilized and operating as it should before the company leaves the site. This is the most efficient way of drilling and the fact that the rigs are able to quickly move from one location to the next helps to ensure that they are able to drill the maximum number of wells in the shortest amount of time possible. © Copyright 2012 Drillpower QLD. All Rights Reserved.